Thank you to everyone who played along! Winners, please email Cassie (cassandratrask@yahoo.com) to claim your prize by the end of the month. Let's see your creative ways for using ink. (ie. using ink pad directly on paper, sponging, stamp distressed ink onto acrylic block and spritz with water and press onto paper). Before you submit to our challenge, please read the CHALLENGE GUIDELINES. 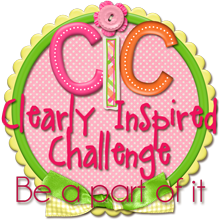 Our lovely Lisa, designed a fabulous new digital set for this challenge that you might win just for playing! Now a little inspiration from our DT. Be sure to head to their blogs to read about the inky techniques they used! Now that's a perfect challenge--who doesn't like getting inky?? Fun challenge, I usually get inky when card making and especially when letterpressing. Occasionally I do a diecut only card with no stamping which doesn't involve ink! Thank you so much for the prize!!! I am sending you an email asap. February Digi Release Day at CDS!